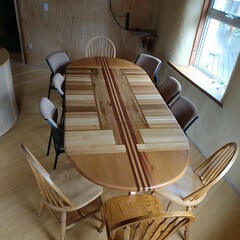 What’s up this week at Eco-Sense? 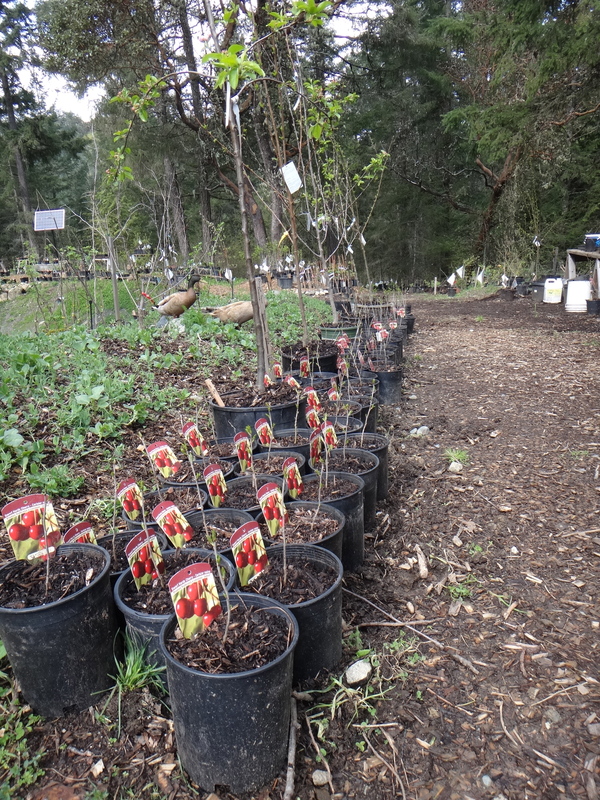 Only four more Sunday open houses this spring for sales of Perennial Edible plants. 10am – 2pm come on out and say hi, check out the gardens, ducks and chickens, and look at the house and peek inside the Eco-Hut nursery office. All conversations welcome. We are really enjoying our Sunday open houses. No need to buy plants to come and spend some time. Plants…What’s new? 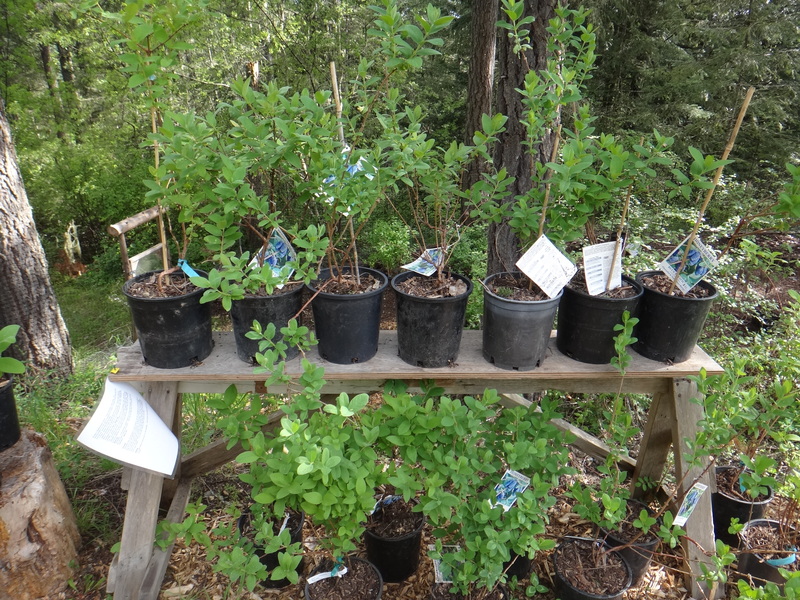 Here’s the list (prices include GST) We have Saskatoon berries…two types. Thiessen and Smoky, but only 3 of each left. We also received our new batch of black currents (Ben Tiran, Ben Connan, and Tiben. Many people are buying a mix of multicoloured currents…we have red, white, pink, and black for health and beauty. Currents (and especially black currents) are known for being very high in antioxidants. Birds don’t generally see the black currents either. Dwarf sour cherries: These are not sour at all and make great eating cherries. They are self fertile, grow to only 7-8ft tall, and are very beautiful plants. Perfect backyard plant. We have Valentine, Romeo, Cupid, and Juliet. (notice the theme here?). Our Honeyberries are looking excellent and they have flowers on them. We have 5 types as pollination pairs are required. 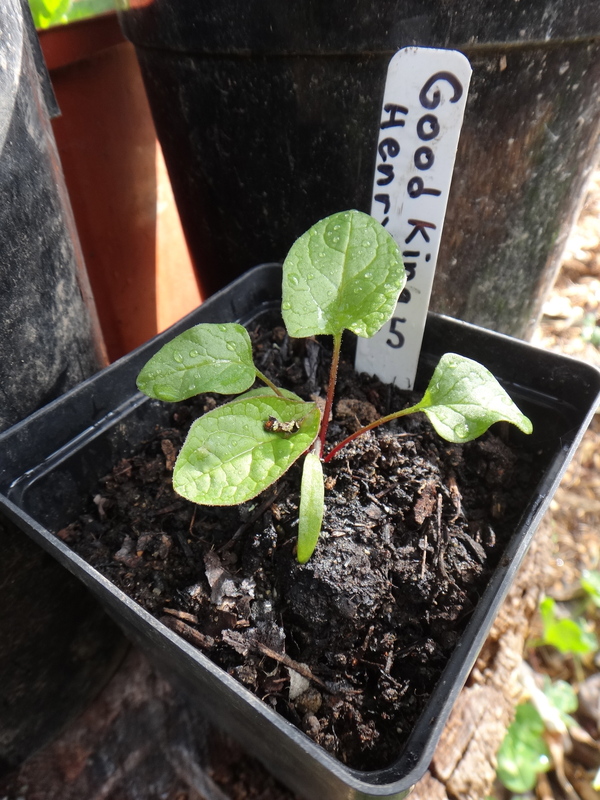 We also have lots of Fuzzy Kiwi both male and female, Good King Henry (perennial spinach), skirret (perennial root veggie, 1 Oca left, and various sizes of Crosne. Gooseberry. 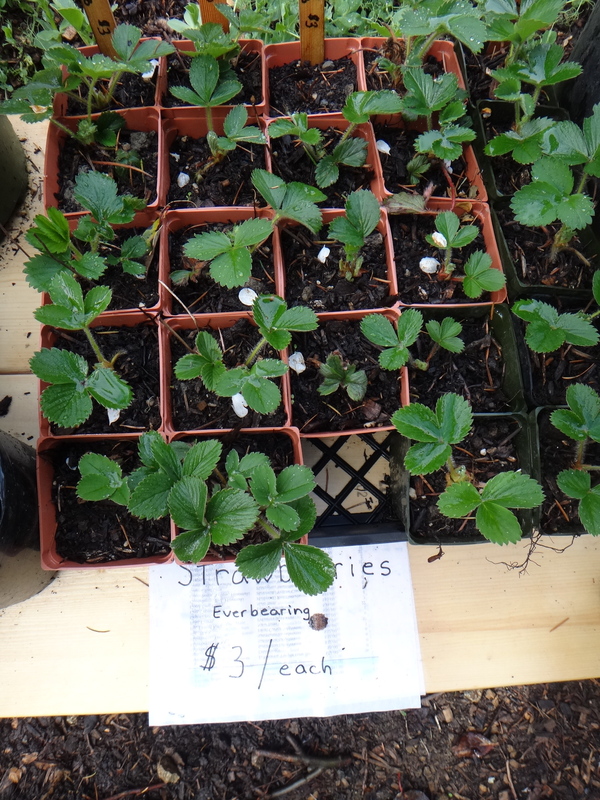 We have lots of the large captivator variety…large red berries, and almost thornless plants. Large roots on these plants which are sure to be big producers. 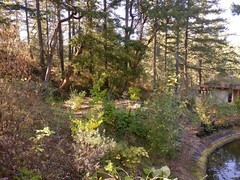 We also have LOTS more plants, like four types of figs, nuts (walnuts, chestnuts, hazelnuts, yellowhorn), grapes, onions, Large perennial Leeks, and some larger fruit trees like the Chinese Jujube, Chinese Toon (Toona Sinensis or Chop suey tree), crab apples (for yummy fruit AND pollinating triploid apples…we planted two to increase our pollination), and plums, and pears, and apples, and Asian pear, and don’t forget about our tea and olive plants. Plus more…. Ducks: All doing well. They spend their day foraging in the cover crops…it’s amazing anything is left standing…they hardly eat anymore store bought food…(just like us). We have had to put some short fences around some areas to keep the ducks out…namely our new oyster mushroom patch. 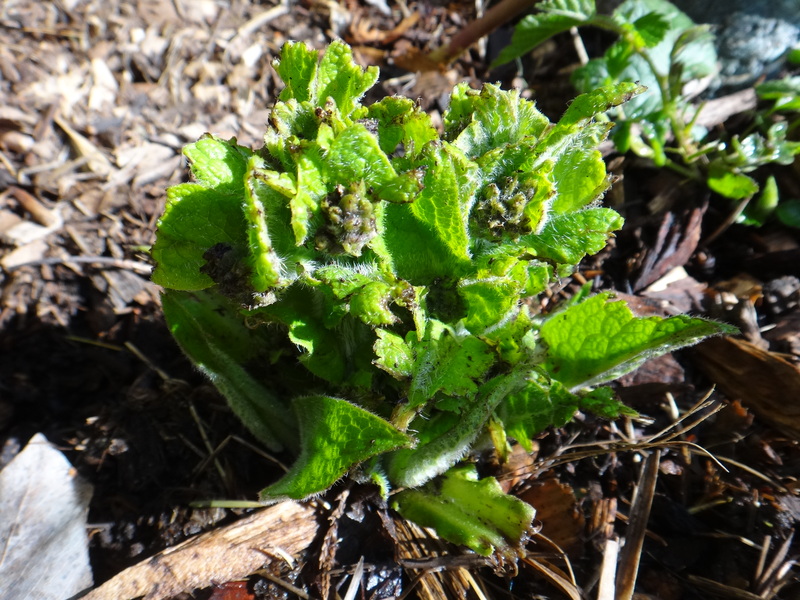 The ducks also eat LOTS of comfrey. Here they ate one down to the nubs. 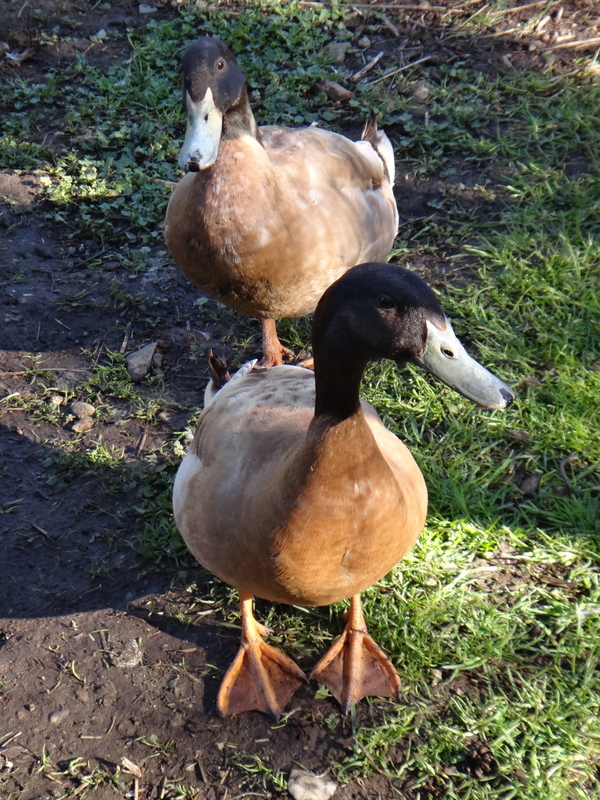 Our two extra drakes (male ducks), which we call the sweet peas, are off to their new home next weekend. They are well trained and friendly but we just can’t keep them anymore. More than one drake is a crowd when there are female ducks around. If you ever go to the Lavender Farm petting area say hi to our Sweet Peas for us. 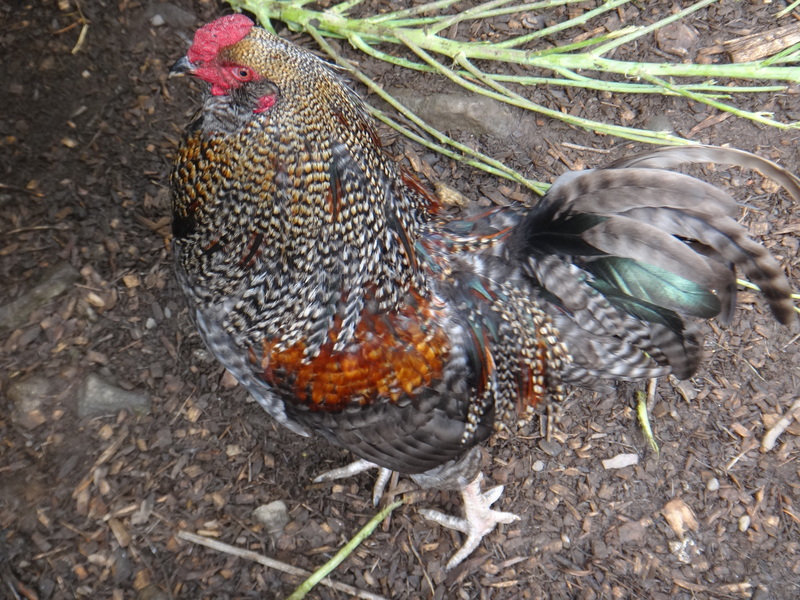 Chickens: We have a broody chicken sitting on about a dozen eggs. She is taking her job seriously and hardly leaves the nest. Ann is holding food and water up to her every morning which she graciously accepts. One of the chicken fields is ready now to plant quinoa. 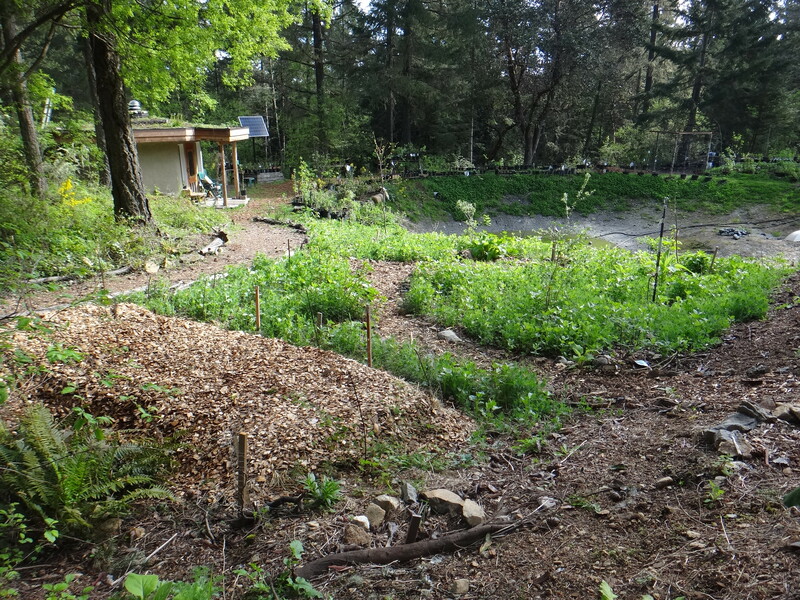 Ann has hoed swales on contour in the chicken fertilized bed. When the main quinoa seed head is harvested the chickens will then go into the field and eat the rest and surface rototill the soil. When they are done prepping the soil (with nicely spread manure), we will plant a winter cover crop that we can then let the chickens turn under come spring. In the other two chicken fields we are trying to establish a pasture of various self seeding annual and perennial plants. 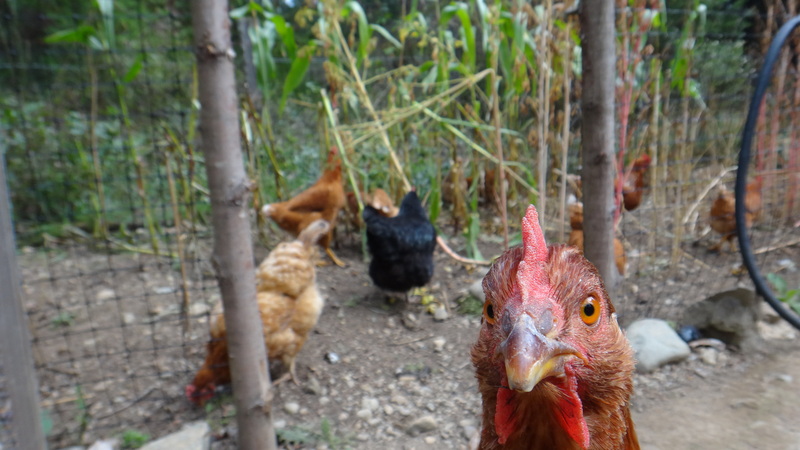 The idea is to let the chickens in for say 1 day per week to eat bugs living in the lush foliage. 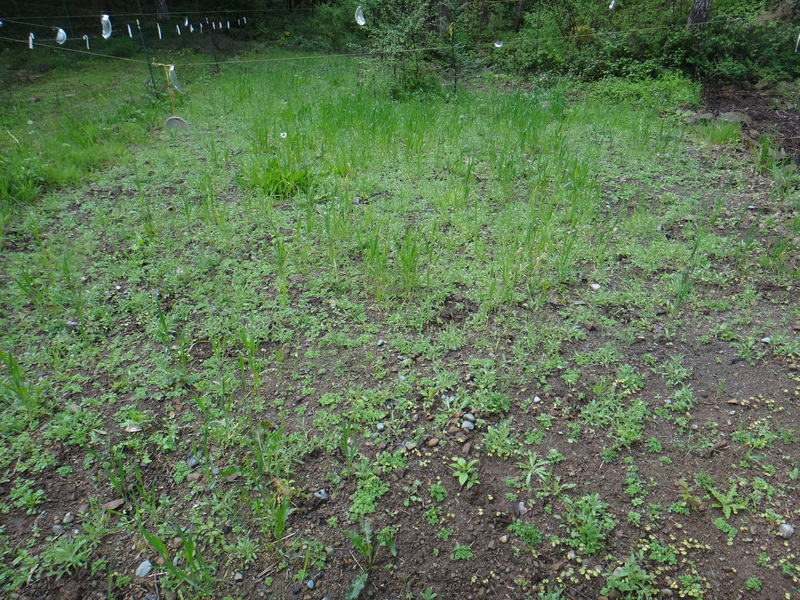 There are some grains, (wheat oats, etc) buckwheat, kale, clovers, vetch and Jerusalem artichokes and lots of other “weeds”. 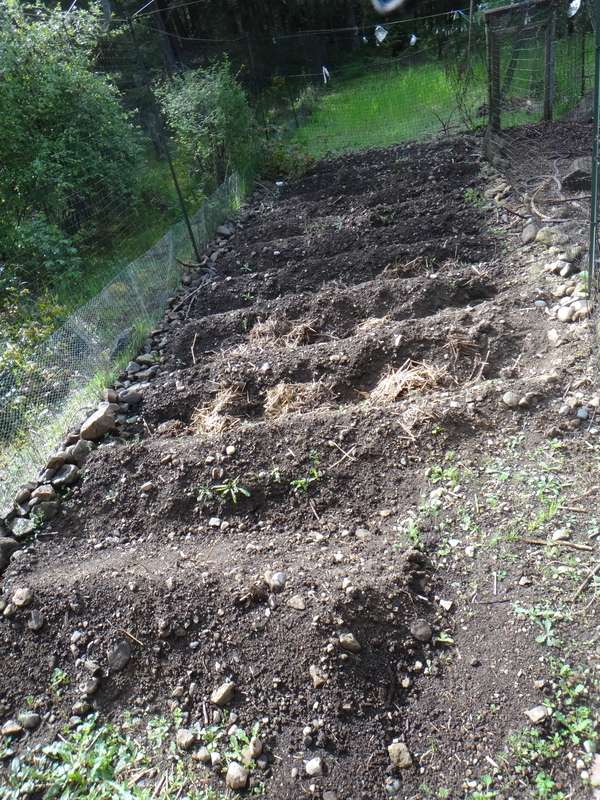 The soil is full of worms…We’ll see what happens in the next month. 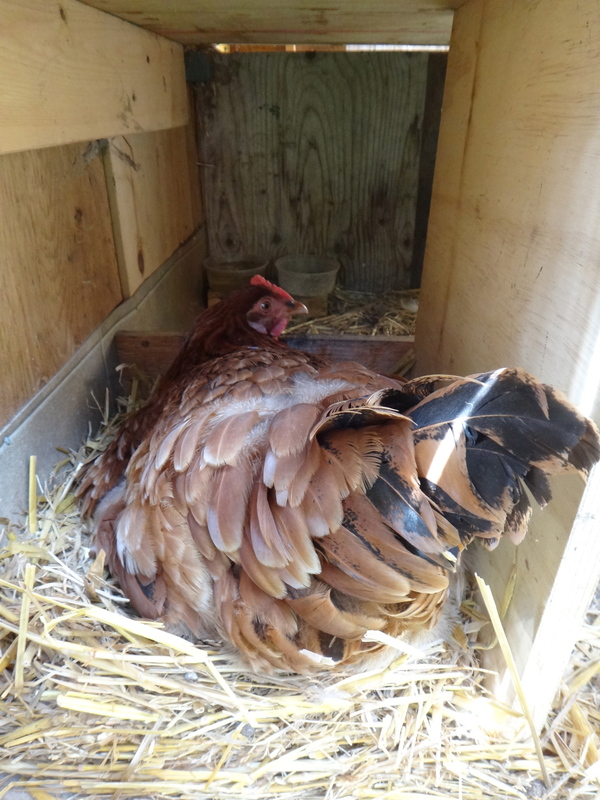 This is Henopause…have we ever mentioned our very old chicken? 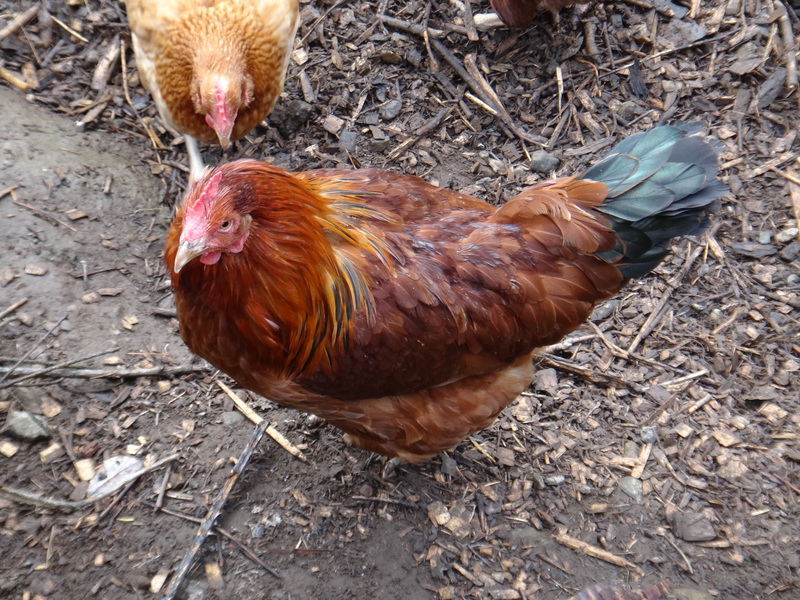 She is about 6 years old and went through a very NASTY feather moult 2 years ago…thought she would die. But instead, she grew new feathers and now looks just like a rooster. 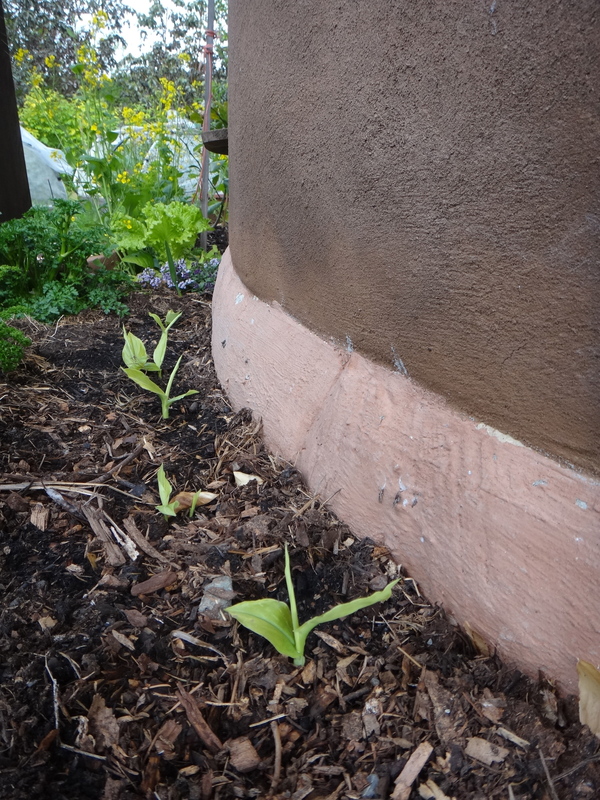 Turmeric: A friend gave us some turmeric roots which we enjoyed immensely…and we saved a few to plant. We cut into 1/4″ sections with at least 2 eyes per piece and planted in the lower greenhouse on bottom heat. Three weeks later, we had sprouts. 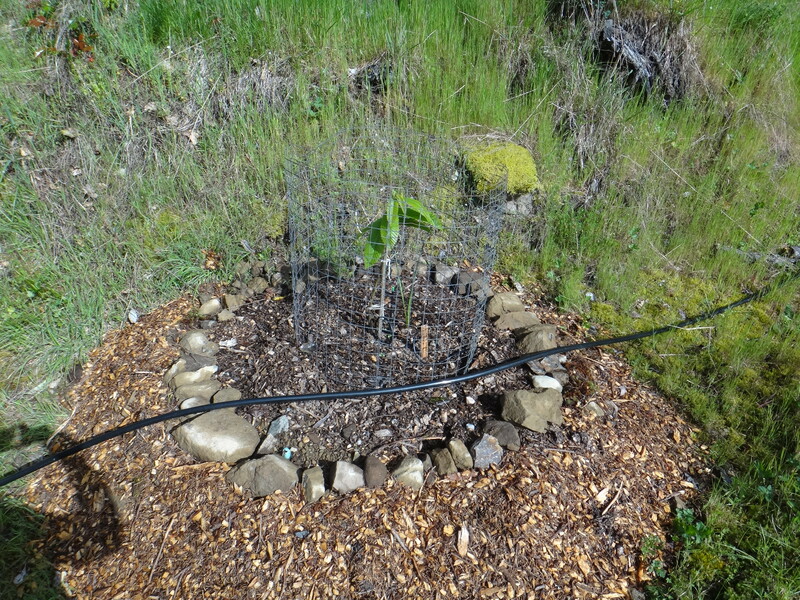 We have planted them out in front of the cob home in a very warm and protected place right near the ginger and lemons. 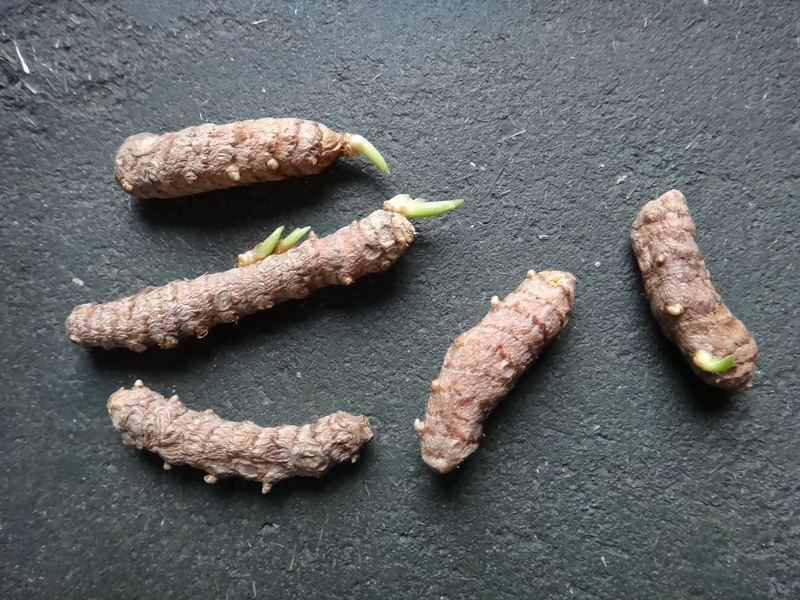 We have one small turmeric plant for sale if anyone would like to try planting. 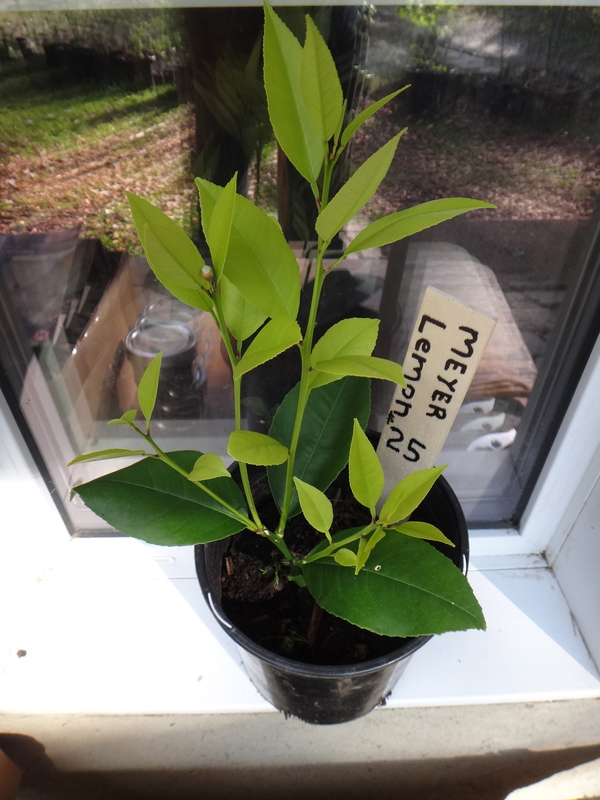 Lemons: We have one small thriving lemon plant for sale that Gord started from a cutting. There is even a small bud for a flower. It is THRIVING. Well done Gord. Tomatoes: The lower greenhouse has been excellent for all kinds of propagation…we even got a head start on our tomatoes for the first time. They are now planted in the upper greenhouse and are already flowering. We will have some extra heritage tomato starts to sell on May 10th. Food security: We take this topic seriously…one only has too look at what’s happening in California to know that water and food are going to be one of the key issues of our time. 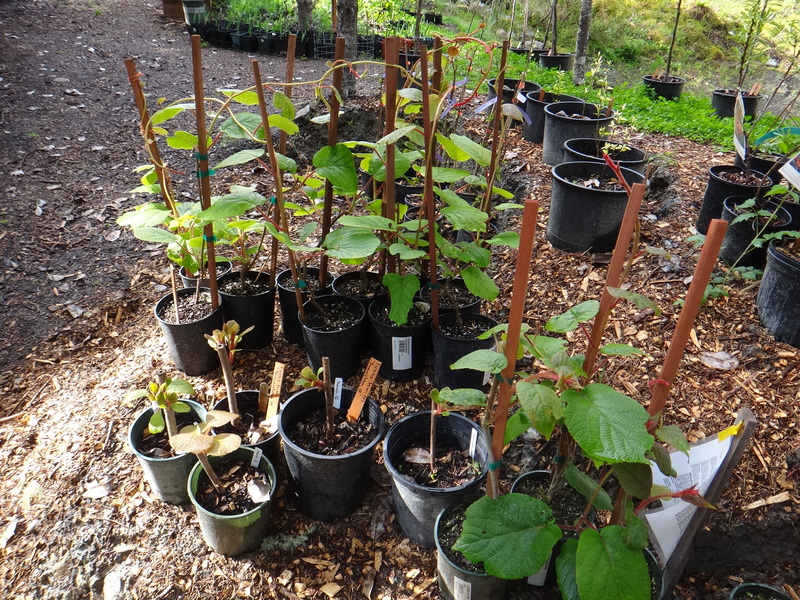 This is why we are planting food forests and especially more chestnuts. We have an old logging road that runs east to west on our south slope…PERFECT location to plant chestnuts on the upward side of the old road. 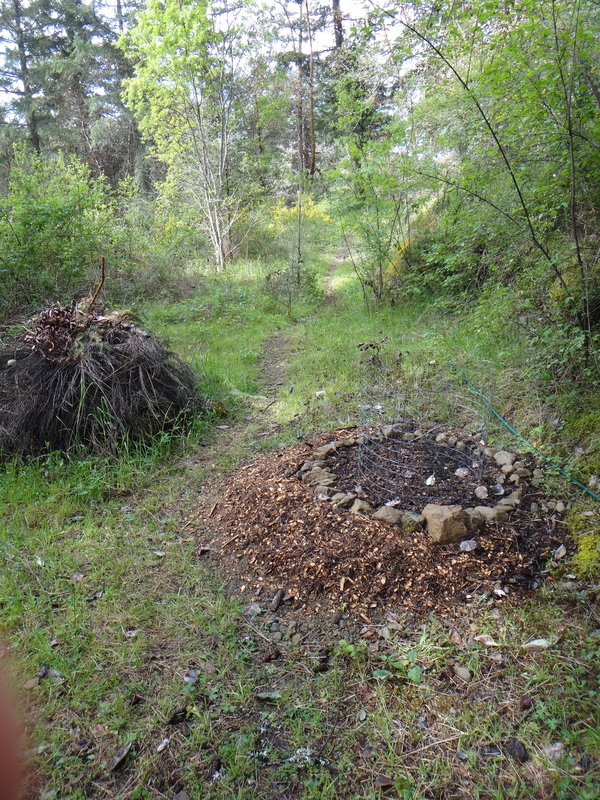 We’ve planted five more…I think we have 12 trees now. They are irrigated with gravity fed rain water to get them going…once established they are very draught tolerant. These are an ideal high protein food source for people, chickens, pigs, etc. Almonds: We stopped buying almonds last year…too expensive and too hard on the environment (bees, water, shipping distance, etc). 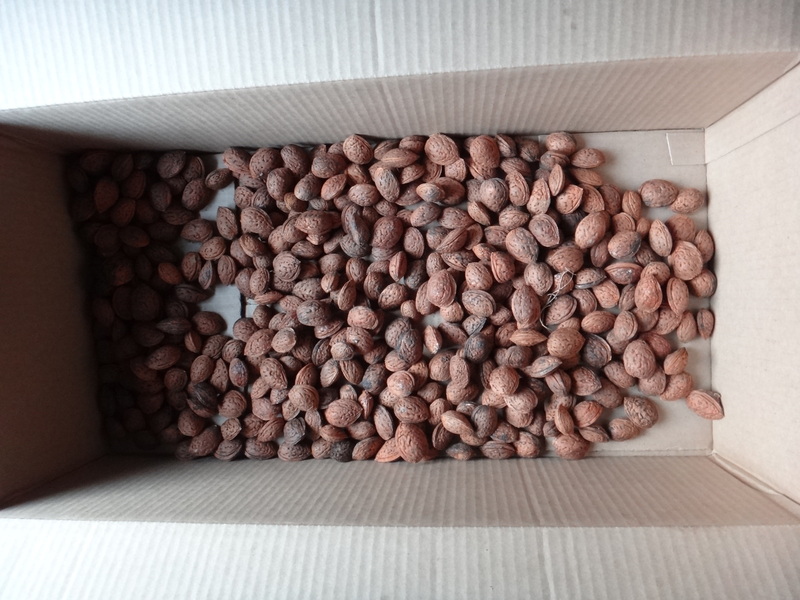 Just last week we were gifted a box of LOCALLY GROWN almonds (Halls Hardy Almonds) to plant. 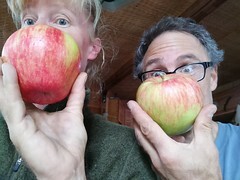 (Thanks to our new friends Jamie and Angela) They taste fantastic. Woohoo. 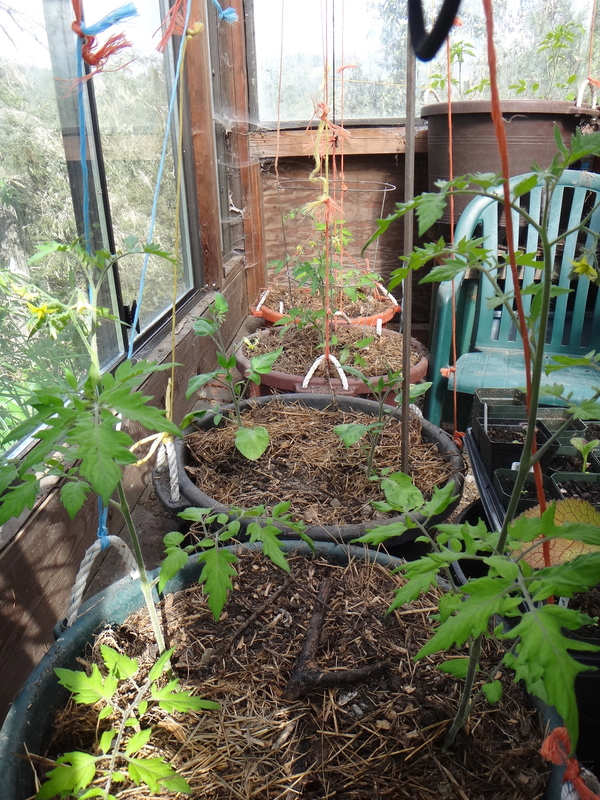 Gord has prepped the seeds a few different ways and started lots in the lower greenhouse. We’ll keep you posted. 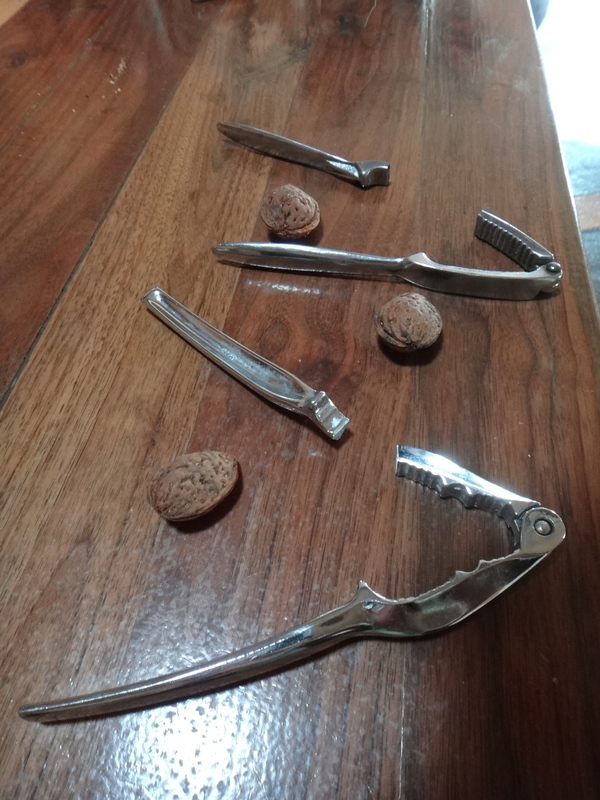 Our nutcrackers did not fair so well…the hammer worked better. Sweet potatoes have been selling like hot cakes…and we keep getting more starts growing. We have 4 types: Red Ginseng, Georgia Jet, Travis, and Superior. 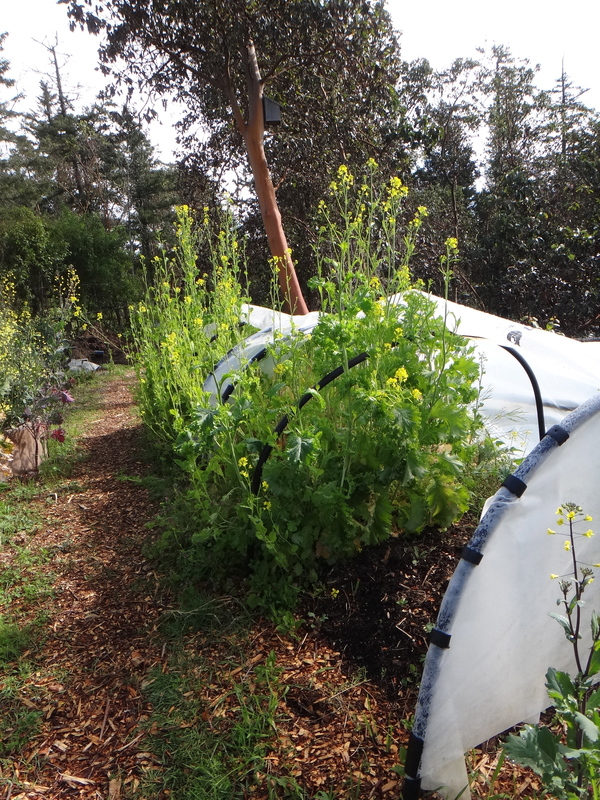 We grow them in a hoop cover…time to clean out the flowering mustard greens and get ready to plant when it’s warm enough. 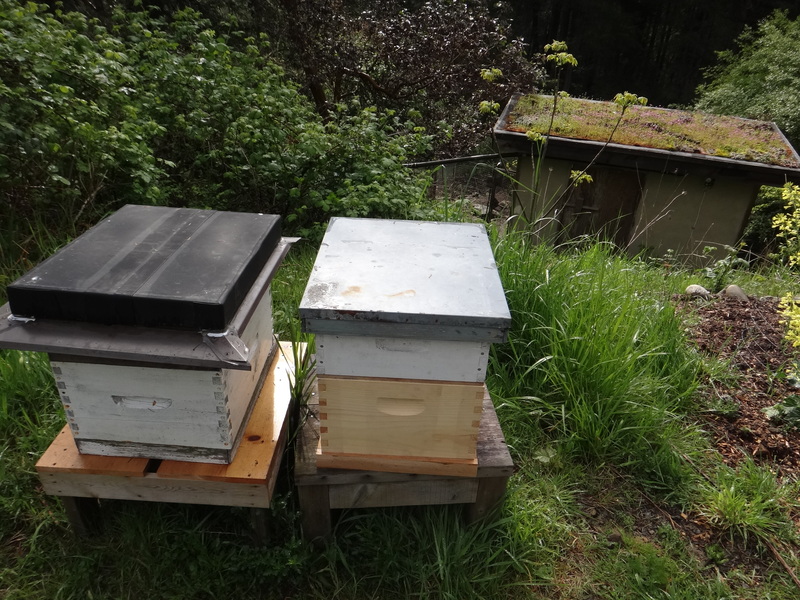 Bees: Parker (17) has shown an interest in bees and will be getting us set up soon with bees again. Parker has the hives are all ready to go and has been studying up on his apiculture. Both of us are really enjoying the weekly farm gate open house. Thanks to everyone for enriching our lives with conversations and the soils with perennial plants. 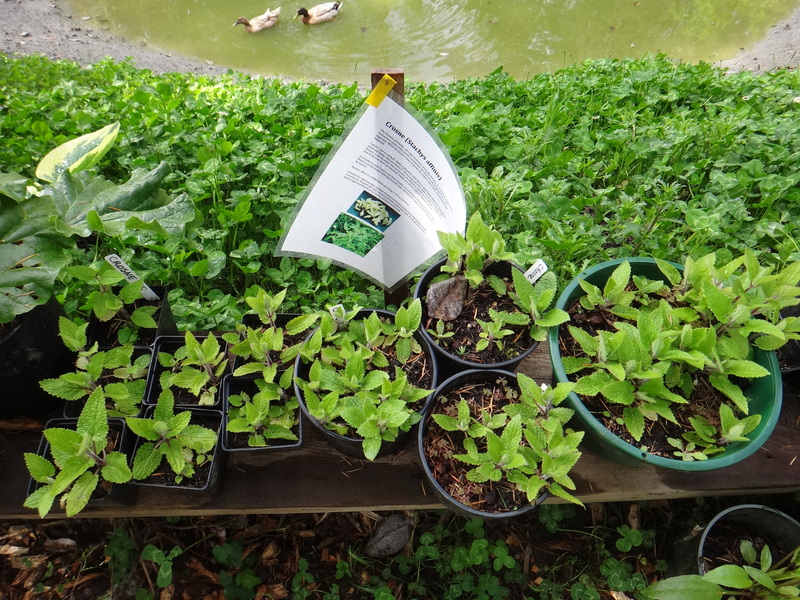 And now…an update to the update: Just arrived: Bocking 14 Comfrey, Licorice plant, habanero chiles, sweetgrass, and cinnamon Yam (only 3). Wonderful post Ann and Gord. We use a vise on the almonds…they are tough nuts! A nice selection of permaculture plants. Thank-you for letting us wander through your property. With all of your woodchips around the duck pond, that would be a perfect place for wine caps, Stropharia rugosoannulata. I have some spawn if you are interested.